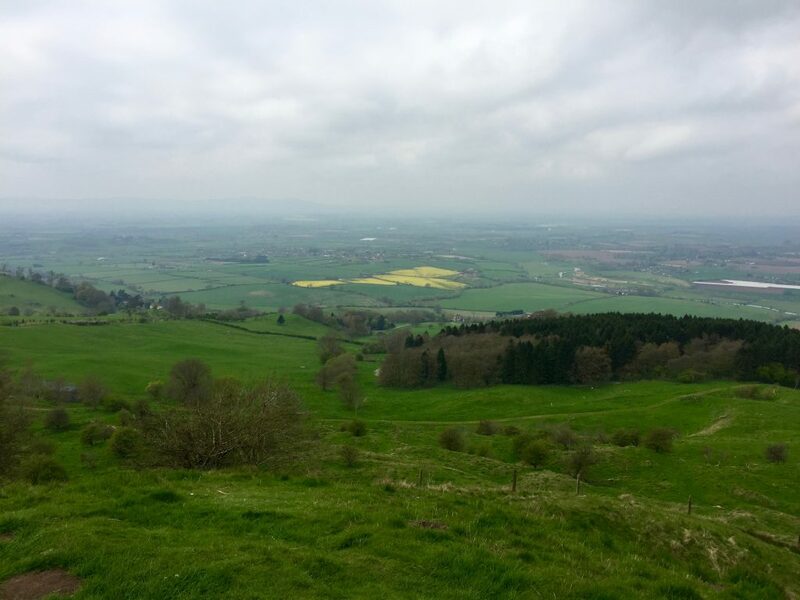 Bredon Hill stands just shy of 300 metres tall (299 metres) and gives spectacular views south over the Vale of Eveham and north over the River Avon to the Malvern Hills. 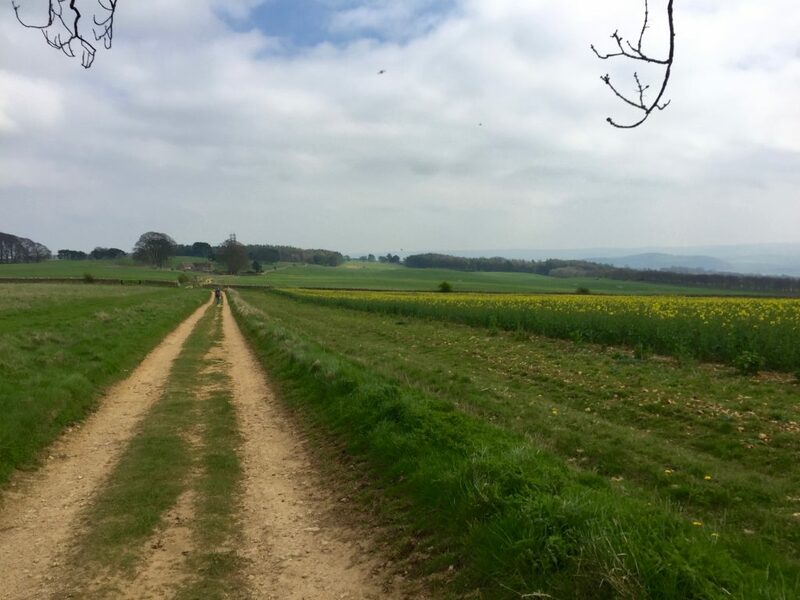 Rather than taking the more direct, steep route from Great Comberton, north of the hill, we decided upon the gentler climb from Conderton in the south. After parking up in Conderton, we walked up the road to the right of the pub. Almost immediately we turned left at the fork. With pretty cottages to our left and a stream to our right, the road soon petered out. 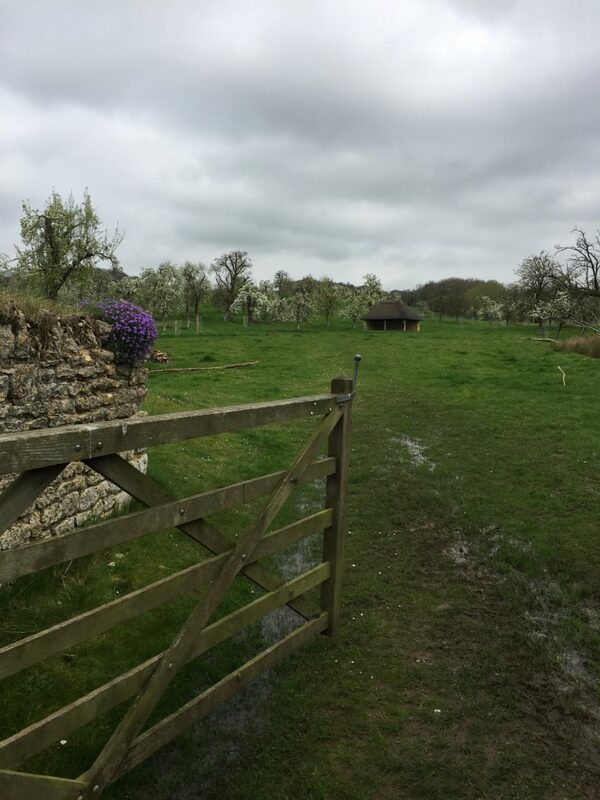 We crossed a gate into what seemed like an ancient fruit orchard and headed gently up the hill. After five minutes or so we reached Pigeon Lane where we turned left and then right. 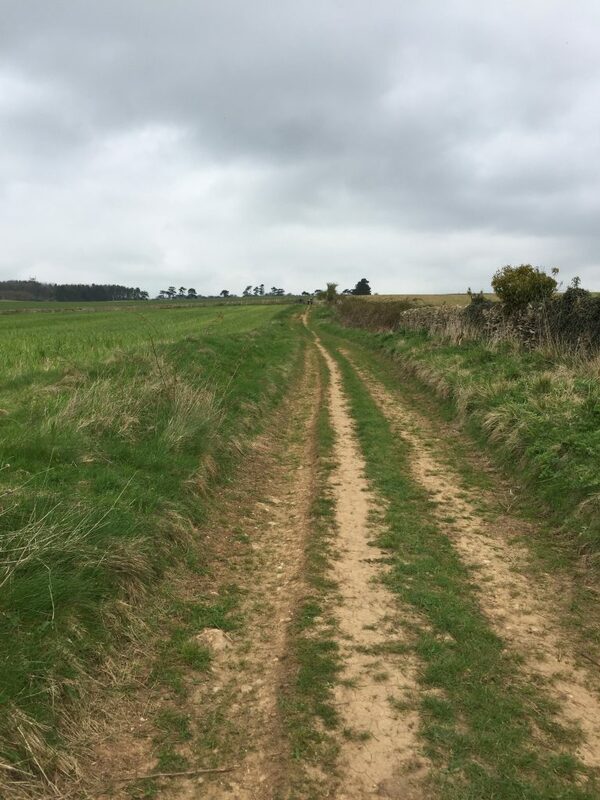 The path was marked by a Rights of Way sign with the distinctive Grasshopper emblem of the local landowners, the Overbury Estate. 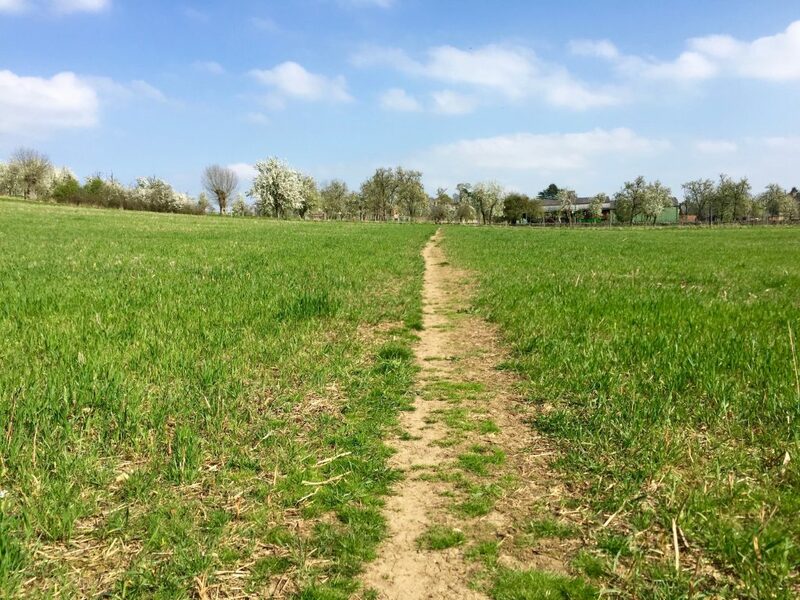 The track then cut through open fields. Woods could be seen to our left as we gently climbed higher. Just before we reached Shalden Farm we turned left and followed a pathway which is known as The Belt. We were again surrounded by open fields, giving us a sense of calm contentment as contoured the hill. We could now see the top clearly. We avoided pathways to our right, heading up the hill until our route hit a T junction. We turned to the right and again began to climb. 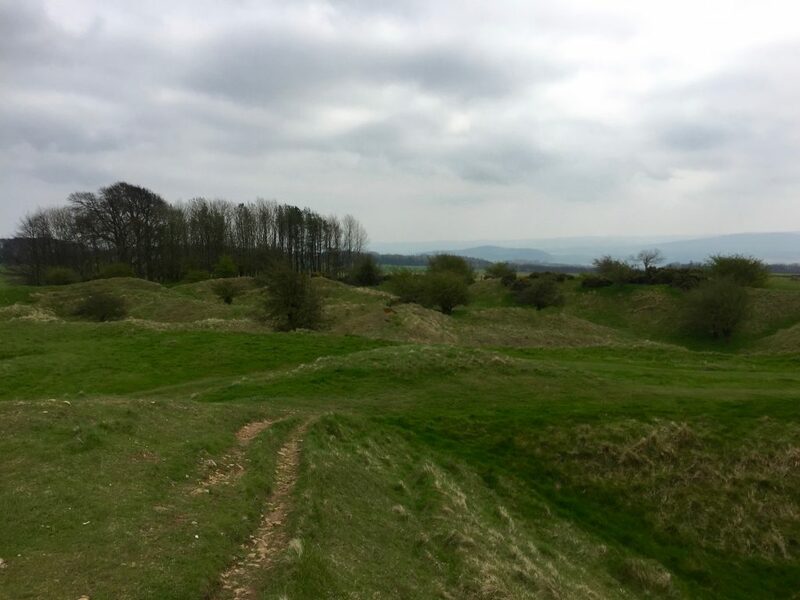 Within ten minutes we were at the summit, although not before we walked through Kemerton Camp, an elaborate and extensive hill fort. At the top of Bredon Hill we wondered what was the purpose of the turreted brickwork Tower. We later found out that this was known as Parsons Folly, built for fun for John Parson MP in the mid eighteenth Century and now rented by the Oversbury Estate as a platform for mobile phone aerials. After taking in the views all around us, we retraced our steps as we headed back to Conderton. When we reached The Belt, we took the first roadway on our right. This led our downwards through the Woods until we reached the grassed open fields Overbury Park. 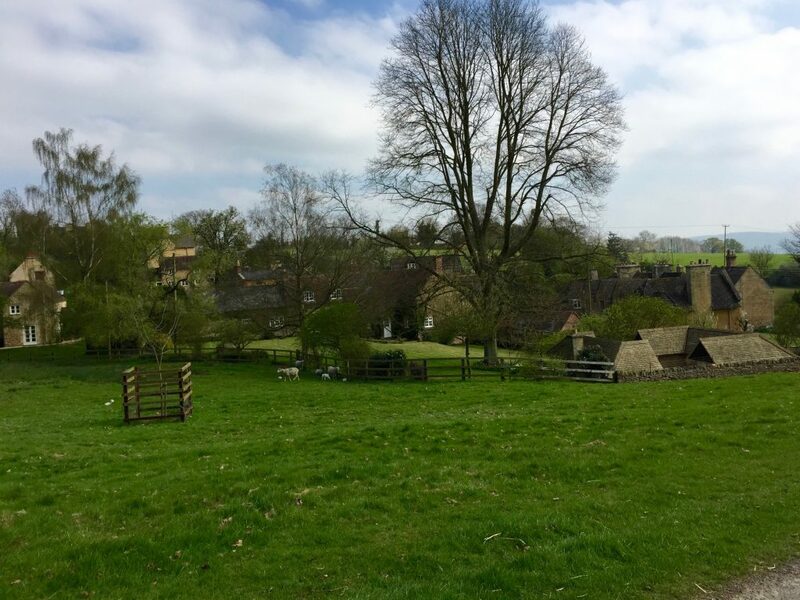 The road eventually led us to Overbury village. We pulled off the road, following the signed path to the right. This led us through fields and then back into the fruit orchard next to Conderton where our walk begun.